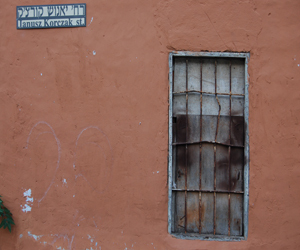 One of Tzfat's oldest tzdekka (charity) organizations dates back to 1788, when Rabbi Schneur Zalman of Liadi, the founder of the Chabad/Lubavitch Hassidic movement, directed his followers to establish Colel Chabad. Colel Chabad is a charity which provides food and other social programs for needy families and individuals. Rabbi Schneur Zalman assured his followers that anyone who contributes to Colel Chabad will be rewarded, and through the years, hundreds of thousands of Chabad followers and well-wishers have allowed Colel Chabad to grow into one of the largest Jewish charities in the world. In Tzfat, the Colel Chabad soup kitchen and food bank is run by Rabbi Zeev Crombie who has been expanding the operation for many years. Colel Chabad/Eshel Benyamin began in the Old City of Tzfat, serving daily meals to needy residents. Eshel Binyamin serves a hot noon meal daily, and gives their "customers" packages of food to take home for their other meals. Shabbat and holiday meals are served in a festive manner, with the Eshel Binyamin staff on hand to facilitate a holiday atmosphere and to offer some words of Torah learning. No one is ever turned away from Eshel Binyamin, including street people and those with mental and emotional difficulties. Eshel Binyamin prides itself on making each person feel wanted, and many people come to Eshel Binyamin for the spiritual warmth as much as for the food. Due to the increased need, Eshel Binyamin has now opened a second soup kitchen in the Cana'an neighborhood of Tzfat, which has an aging and low-income population. The meals are cooked in the old Pisga hotel on Har Cana'an, and delivered to the homes of those who cannot manage to get to either of the soup kitchen branches. Volunteers often assist the staff at Eshel Binyamin, cutting and peeling vegetables and assisting in various ways. These volunteers are vital to the operation, and the staff is always pleased to have volunteers on the premises. Several years ago, when it became known that schoolchildren in Tzfat were coming to school without their mid-day sandwich (in Israel, it's traditional for children to have a 10:00 sandwich in lieu of before-school breakfast) because their homes couldn't provide them with the food, Eshel Binyamin accepted the challenge of helping. Now, throughout the school year, Eshel Binyamin prepares hundreds of sandwiches, which they then deliver to the elementary schools and kindergartens for the children who "forget" to bring their ten o'clock snack. The gratitude of the parents and children is matched by that of the staffs at the schools, who had been overwhelmed by hungry children in their classrooms. The numbers of Tzfat residents who thank Eshel Binyamin for keeping them going is astounding. Some people are permanent "guests" of Eshel Binyamin, and many more need the services of Eshel Binyamin during difficult times. But one thing is certain - Eshel Binyamin is always there, ready to help all those who need them. Contributions to Eshel Binyamin may be made by contacting their main office at 972 4 6821090.